The case of Grange v Abellio London Limited provides a good example of when an Employment Tribunal can award compensation for a personal injury at work. Mr Grange was awarded compensation when his employer failed to provide rest breaks under the Working Time Regulations 1998. Under the Working Time Regulations 1998 (WTR). 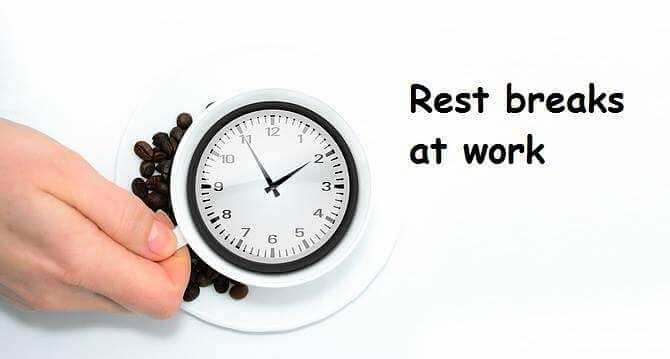 Workers should have an unpaid rest break of 20 minutes when working for more than six hours per day. Mr Grange claimed his employer refused to let him exercise his entitlement to a rest break due to the working pattern he had to follow. The employer conceded that on 14 different working days it had denied Mr Grange rest breaks. Due to a bowel condition that Mr Grange had, the lack of rest breaks caused him discomfort. On this basis, the Employment Tribunal considered that just and equitable award was £750. Following a number of appeals and cross-appeals – the employer argued that the WTR do not allow for an award of damages for personal injury, the Employment Appeal Tribunal decided in Mr Grange’s favour. And, given the low value of the claim, there was no need for specialist medical evidence. As matters stand this case opens the door for workers seeking personal injury damages. An Employment Tribunal may award damages where a worker has been denied a rest break and the worker can prove that they have suffered more than a minor inconvenience as a result. In low-value claims, it would also appear that medical evidence is not needed and the tribunal will make a common-sense assessment of loss. You can read more about stress at work here.